Like most readers my to be read list seems never ending, and I have lost hope that I would ever clear it off. On the other hand, my to be reviewed list is not too long but as I do not follow any hard rules in picking the book from that list to review, the books I loved too much or the books that I might find difficult to write about tend to settle farther and farther down the list. So here I am, picking one of those books that I read a long time ago (read as almost two months) and yet was hesitant to review. Mostly for the fear that I would not be doing any justice to it or that I might be a tad partial in my critique. Someone suggested me, Zadie Smith, when I was talking about feminism and related topics. On the quest to finding her much-acclaimed debut ‘ White Teeth‘ or ‘On Beauty,’ I stumbled upon Swing Time her newest release. The story follows two little ‘mixed race’ girls who grow up in the not so rich part of London Tracey, the dancer, and our unnamed narrator. Tracey stands out in everything they do together – she is confident, rebelling and imaginative and a better dancer of the two, while the narrator is a good student and hopes to get out of the neighborhood. Her mother’s upbringing makes sure she realizes that only hard work pays, while Tracey’s home-life is almost ungoverned. She joins as an assistant to the super star singer Aimee and travels worldwide as her works demands. She loves the job as she shuttles between the UK and a downtrodden country in the West Africa where Aimee was building a girls school. She feels alienated in the Africa as much as she does in London. Our narrator is quite taken with strong characters right from her childhood while she is happy being invisible in the backdrop. She doesn’t have any talent like Tracey or an ambition like her mother or the drive like Aimee. This makes her a less compelling character to love or remember. How do the friends gravitate towards each other when things go south? How long could she live in the shadows of others or if she did, would she happy? Read Swing Time to know more. The story oscillates among various time frames and places and does a brilliant job in weaving a quite fascinating tale. Though there are a few parts of the story that might have been little dragging and I admit to skimming a bit here and there, the author’s literary skill makes it all worth the while. I found Swing Time to be a solid piece of social commentary, rather than a piece of fiction that talks about two friends, which is what it is primarily. Zadie deals a variety of themes like different races and the privileges that come with them, parenthood and the importance of family, poverty and classes, that add up succinctly into the coming of age tale. I particularly liked the thread of dichotomies between the haves and have nots, coloured and uncoloured, the Americans and the British, the talented and privileged and the ones that aren’t, that ran throughout the novel. This is the first time I am reading Zadie Smith. I am not entirely in love with the book, but I am ready to read more of hers, like White Teeth and On Beauty that everyone has been raving so far. Swing Time is not your typical summer reads. It has little hard to get into and harder to stick to especially in the middle. 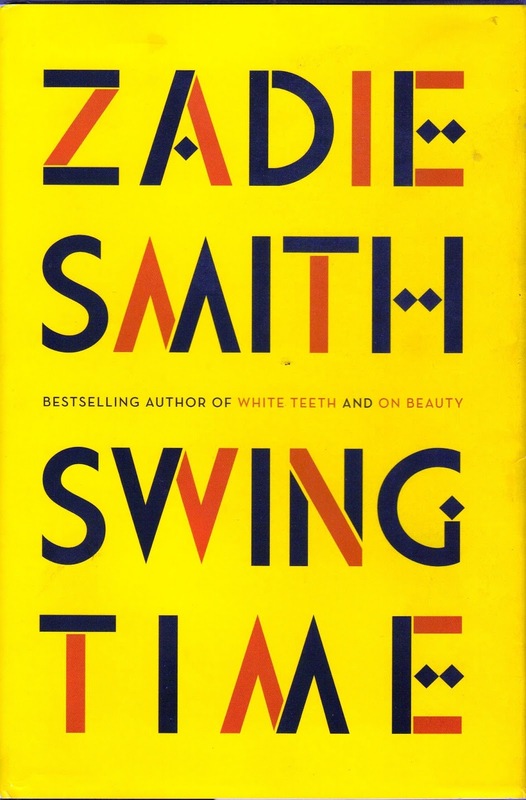 If you love reading prose that promises you insights about the society and the world as a whole accompanied by beautiful and strong writing – Swing Time should be your pick. Even if it’s tough to get through, it sounds like a great read. Awesome review! Yes it was. Brilliant work. I am looking forward to reading more of hers. This sounds lovely! Some of the harder to get into books are the most rewarding. I love the way you link to other reviews, do you do this manually? Yes, I link the related posts as soon as I finish the review. Sounds like a book that is too “smart” for me. 🙂 It does sound like you got something out of reading it, so that’s good! Thanks for sharing! Sounds like a wonderful story. I will add this to my list! From the title I was expecting a WWII story – your review set me straight. Thanx! Thank you for sharing your honest review! I love to read and appreciate all kinds of novels! I noticed this in Waterstones the other day and considered buying it as I like Zadie Smith's other work. This review has convinced me to check it out. Thanks for sharing. Haven't heard of this one before. Thank you for sharing, I'll look into it! Have to look into this book. I tend to more thoughtful though in colder weather. Going to add this to my TBR. Sounds like an interesting read! I'll have to look for it at the library. This looks interesting, I will have to check it out! This looks interesting. I'm going to have to check it out. I have seen this book all over the major book lists. I always interested in books that make a solid social commentary, especially is about race. Thank you for writing this review. Appreciate the review! I've never heard of this author, I'll have to check her out.